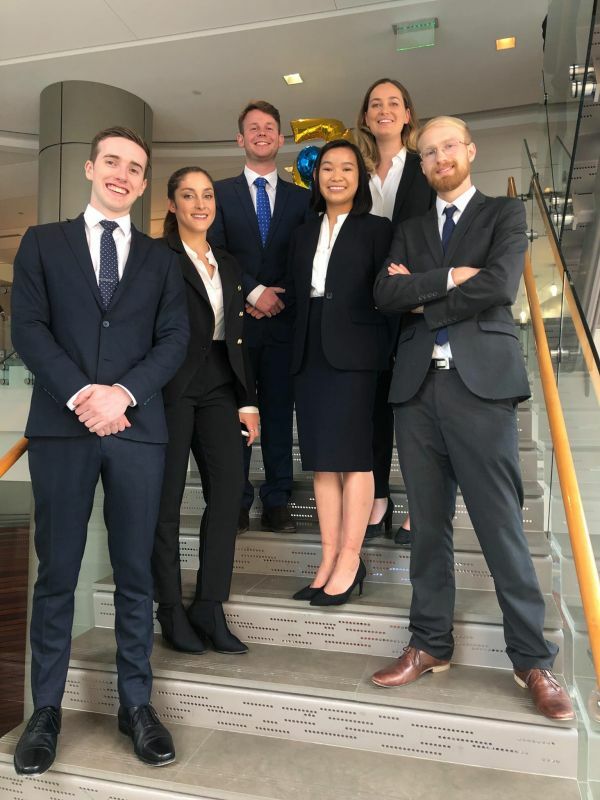 A team of six University of Melbourne graduate students have won this year's Emory Global Health Case Competition (GHCC) for the first time since the University began competing in 2014. The GHCC is an annual international competition that has been held at Emory University in Atlanta, Georgia for the past 10 years. 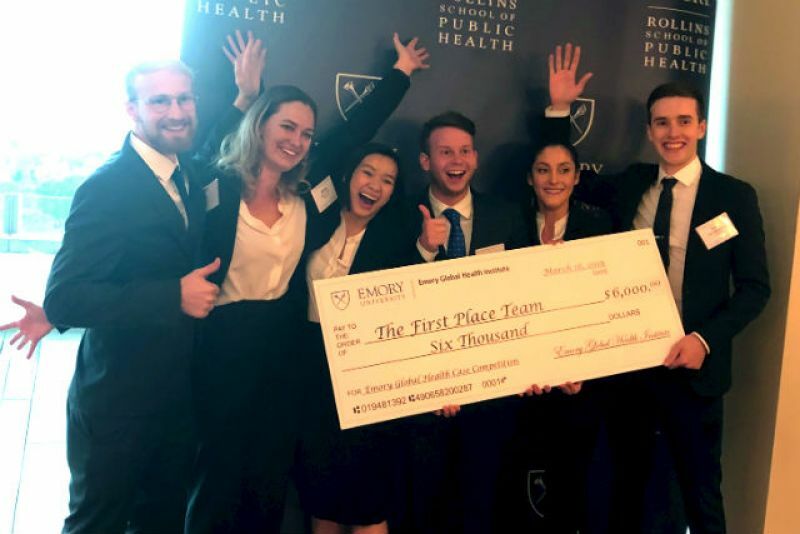 The competition brings together students from universities across the world, who must work with their peers to develop and present an innovative solution to a significant global health challenge. This year the UoM team – one of 30 predominantly US-based teams that competed – were tasked with addressing vulnerabilities in the Dominican Republic's hurricane preparedness plan, taking into consideration the impact of climate change. (Pictured L to R) Thomas Strawhorn (Master of Engineering), Georgia Gibson (Graduate Diploma of Psychology), Samuel Johnston (Doctor of Medicine), Stephanie Li (Doctor of Medicine), Anna Traill (Doctor of Medicine) and David Morgan (Doctor of Medicine and Master of Public Health) were selected during an intramural Global Health Case Competition (GHCC) last year that serves as preparation for the international competition. The team’s academic mentor Professor Glenn Bowes AO, who supported them in developing a solution to this complex global health problem, described the team's win as a 'outstanding achievement for a wonderful group of students' who competed against world-class universities including Cornell, Yale, Brown, Vanderbilt and the University of Toronto. The UoM team were awarded $6 000 in prize money for their solution to the global health case. The Faculty congratulates the team on their success and thanks Professor Phil Batterham and Professor Bowes for coordinating the program over the years. The team has documented their journey on Facebook, Instagram and Twitter. Applications for this year’s intramural GHCC will be open for current graduate students in October 2019. Keep an eye on the Global Health Case Competition web page for updates.